Data Science is also referred to as Data Analytics or Data Analysis (DA). Essentially, it means examining and interpreting raw figures and facts in order to draw conclusions. In a business setting, these conclusions can lead to better decisions, actions and strategies which can transform a business. The term “Big Data” refers to generation and storage of a large amount of data which a business generates every day from a variety of sources, in different formats and often at rapid speed. In recent years the value of analyzing this data has been realized and is a key component in any business’ growth strategy. Why Does a Business Need Data Science? Businesses have been capturing, storing and analyzing data for years, but recently there has been a surge in data science software and technology which automates this process meaning big decisions and changes to strategy can be made much faster. However, without expertise in Data Science and analytics, automated systems can miss opportunities and nuances in the data. A Data Scientist can not only analyze the data but can also transform it into action. A Data Scientist has advanced training and knowledge in statistics, math and computer science as well as data visualization, data mining and information management. Many will also have experience in infrastructure design, cloud computing and data warehousing. You can develop your knowledge and practical skills in a variety of key Data Science subjects in a Masters postgraduate course. Online courses offer flexible learning for business professionals wanting to harness the power of data in order to stay ahead of their competitors or to advance their career. Here are the biggest benefits of using Data Science to further your business and optimize its operation. Not all business data is external. You can also collect and analyze data about internal processes and employees and use it to identify areas for streamlining or extra training which will improve the efficiency of the business. Data analysis is also called data mining and it can be used to identify trends in the market. For example, are certain times of year more profitable than others during which time it might be worth investing in more advertising? You can use data to identify activities or products which are not returning as much profit as others. You could use the information to stop producing these products or to find a more cost-effective way to manufacture or distribute. Data science and data scientists can not only gather and analyze the data but can also create models using existing data to make quick decisions based on their findings. These decisions can also be tested easily through data, i.e. evaluating whether the decision has been of benefit to the business. Data science can also be used to identify data that stands out in some way to highlight fraud or unusual activity which needs attention. By identifying the best-selling products or services or marketing campaigns a business can invest more time and money into designing new products which are likely to be a success. It can also inform a business about the best time of year to launch a new product. Advanced data science enables marketing and sales teams to understand their customers at a very detailed level and personalize the sales process as much as possible. Insights gained from customer surveys or demographics analysis can enable organizations to tailor services and products to customer groups. New technologies and data analysis techniques have streamlined the process of finding, screening and hiring the best talent. All the aspects of the recruitment process can now be easily gathered and interpreted to help businesses to make the right choices when hiring both full time and temporary talent. Data Collection: You need to have a proper tracking and data collection system to ensure you’re gathering data which is crucial to the business. Data Storage: You will need a secure way to store your data and should also have at least one back up system. Cloud storage services are popular which mean your data is stored virtually rather than physically and be accessed by authorized personnel from anywhere in the world. 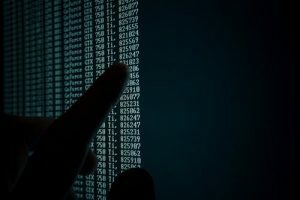 Data Cleaning: Trimming the extraneous detail from your data so the key information is easily accessible and able to be interpreted. Data Analysis: Extracting value from the data through investigation and interpretation. Data Visualization and Communication: Putting the key findings into a visual or easily understandable format for others in the business to understand. Data-driven Decision: Business decisions should be supported by findings from the data and not educated guesswork. The simple answer is that any business can benefit from using data science to improve their operation. If you would like to know more about how your products are performing, what your customers want and how to make better decisions in less time, data science isn’t an option. You don’t necessarily need to employ a dedicated data scientist as the knowledge and skills can be spread across your team. The important thing is that you recognize the importance of understanding data in order to facilitate real growth. Data science is transforming the world not just in business but in artificial intelligence, healthcare research, politics and even sports. It has endless potential to change the way we live for the better. Professionals and entrepreneurs who use data science to identify and analyze their businesses can access the statistics they need to understand where they’ve been, where they are and where they’re headed. In short, a solid understanding of data science is crucial to any market and any industry, and if you’re not using it, you should be investing time and money into expanding your knowledge.